EURO JOLLY PUB AND BILLIARDS! When I speak with Giovanni today at his VERY UNDERGROUND AND VERY COOL billiards! place that has been here undetected since 1991, I am charmed. First, he only speaks Italian and his daughter, Vittoria and me chat on the phone, I google translate with Giovanni and we try the best we can with my little Italian to talk about the WORLD FAMOUS BILLIARDS in MILAN. 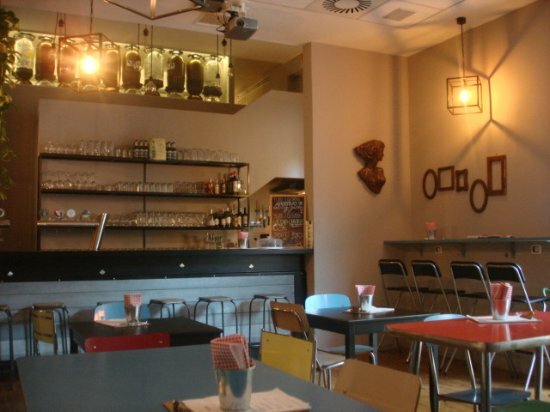 Do you know you can come here and play on the 25 tables for only 11.00 euros per hour til 2:00am? at EUROJOLLY Billiards IN MILAN! The Billiards place is a great place to have a fun night out with friends, and it has Italian speciality beers on tap with a funny and experienced bartender to make the cocktails you love, Italian wines and mostly as the Capo, Giovanni's daughter says, "It is really a pub that has a great back room of billiards!" Okay, I would say it is a little bit bigger than a PUB, yet I understand her philosophy. Imagine a great PUB where you can hangout and drink some beers and then have much more fun building team spirit on the 25 biliard tables in the back room! Alright in the words of Hank William's JR "who's ready for some billiards?" here in NAVIGLIO since 1991, where they have 25 tables to play on til 2:00am, you can find the WORLD FAMOUS billiard tables. That is right...world famous! 25 TABLES! And whether you play one on one or couples, the table is only 11.00 euros per hour. Plus great cocktails, great music and right in the middle of Naviglio. IT WAS TOOOOOO MUCH FUN! Please come and bring tons of friends to have a fun night out with the buddys and to challenge each other and perhaps the table next to you to a game of Billiards...it's a English thing! The young capo, Niccolo, asked his mother if he could take some of the old classic family photos for his new Gramms bar, and she said yes! Here they are! 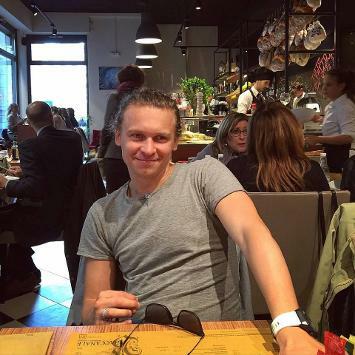 The capo is relaxing in his Naviglio Canal Cafe, "I originally am a drummer in life and while I was in a band I went to school to become a architect in Milan. It takes many years and many days of hard work and finally I become a architect. You ask me if it is more work to be a architect or a Gramm's cafe bar owner. Definitely more work being a architect as being a bar owner is fun. Here it is my playground. I only have fun here and I want to open another one, too. It is a chance for me to show the family work of marble that my father has done his entire life and to show my creative side. All of my activities have been creative and the bar is young, only 5 months, yet it is doing very good. I hope for people in the future to comment about how good my bartender is!" says Niccolo. Every little detail of the bar is done with care from the marble of Niccolo's family to the great artistic arrangement of the photos on the wall that a artist friend of his had made especially for him from Naviglio. "I asked him to find some great artistic pictures and told him my vision of what I had in mind for Gramm's image and he came up with that great collection you see on the wall. " "I told you that I love Musicians," says Niccolo, "and as you can see all the 8 signature cocktails of the Gramm's bar are associated with famous composers. Such as the 22/12/18o8, that one is Ludwig Van Beethoven and we try to do something a little bit unique to each one. The Russian composer's cocktail is made with vodka, for instance." 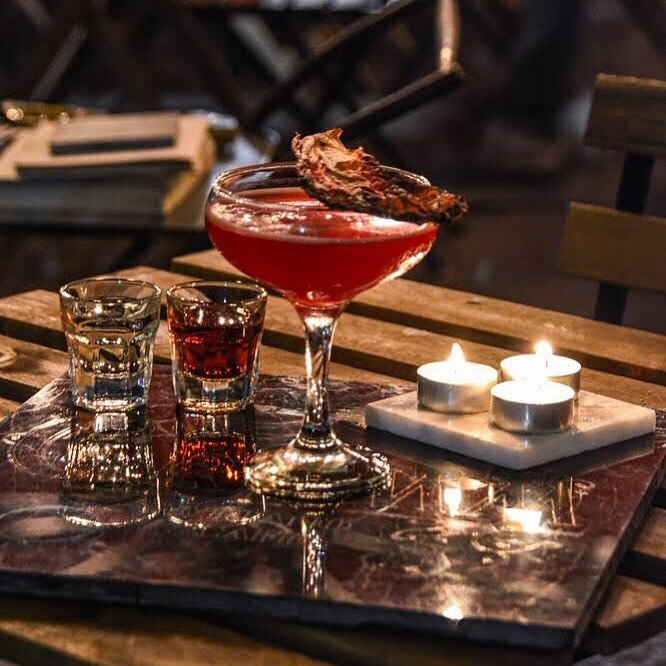 Yes a very playful person and although the bar looks very sophisitcated with its beautiful marble tops and it's red velvet cushioned chairs, it is a friendly and warm place and the owner is very nice to talk to. The composers featured are Wolfgang Amadeus Mozart, Antonio Lucio Vivaldi, Frederick Franciszek Chopin, Claude Debussy, Igor Fedorovic Stravinskij, Isaac Albeniz, and Henry Purcell. 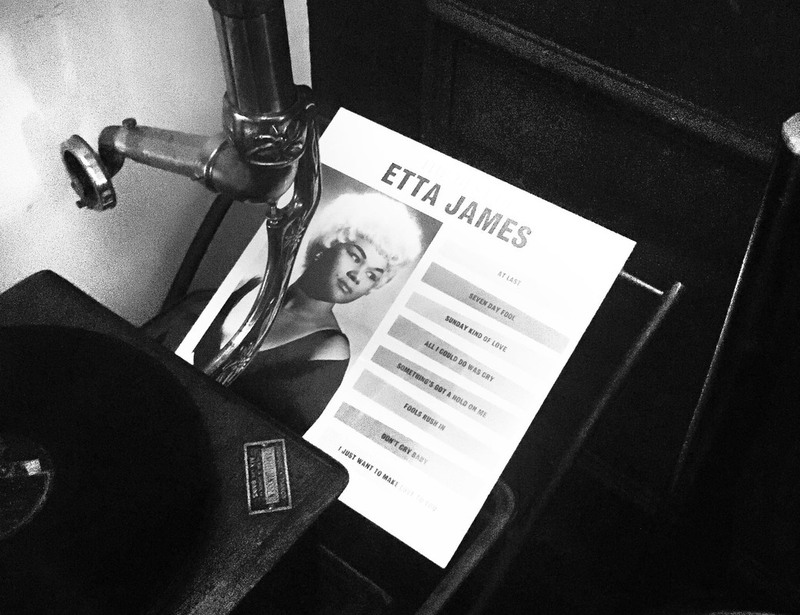 Come try the classic bar and if you love one of these composers I hope you try the cocktail! "The interior is all me, it is my taste, and it isn't really a Speakeasy since it is out in the open, yet the Americans always comment on the fact that it looks like a Speakeasy," says Niccolo. I tell him it is very classic and comfortable and cozy and it looks like a place Al Capone would of either owned or drank in! I feel a little bad asking for wine when he has such fun and cool Classical Composer drinks, yet the wine is VERY GOOD! "The marble is from my families quarries in Carrara, which is in Tuscany, and is the marble capitol of the world. I am lucky since it is my families business and I can find these great marble pieces to show off the beauty of the Gramm's cafe. 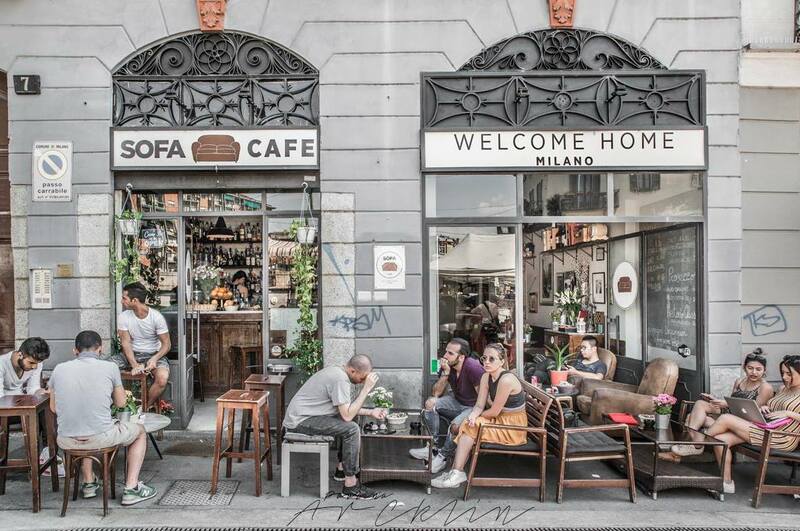 I doubt the Milanese people appreciate it since marble is everywhere in Italy, yet the tourists think it is kind of special," says Niccolo, the very talented capo of GRAMMS cafe, Naviglio. "It is in the 1930s decor inside, all classic with the Gramophone as the central piece since I started as a musician and love music. And outside it is fun and funky and casual. For the aperitivos of the night I give a great plate of cheese and meats that I make especially. I prefer the intimacy of serving the guests and giving them a great drink and a nice classy plate for 10.00 euros instead of the buffets. It is more personal and they can enjoy the evening." 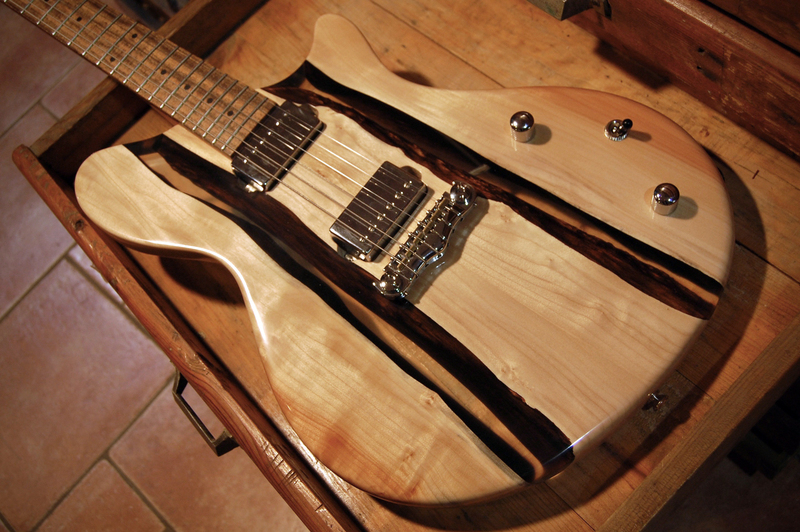 handcrafted to fit your vision from Daniele Fierro, who has made only 500 guitars in the world for famous and what he says is "lovers of electric guitars" in the last 35 years as the sole designer and owner of JACARANDA, the gorgeous custom guitar artisan store in the trendy NAVIGLIO section of Milan. "I have a English website and Italian and each guitar is etched to tell the number in the sequence. Some of my guests have over 200 guitars as a collection, and some come in and buy it for a collector's piece or to use in a band, it depends on the needs," says the affable and humble craftsman who owns JACARANDA, located at Via Corsico 8, Naviglio. "Of course people can come in from New York or Chicago or Los Angelos or Toykyo or London, etc and buy a guitar from the store or one they saw on my website. Yet they can walk in and order a custom made one, too. It depends on a person's need. Sting's lead technician has two of my guitars and a famous singer from Los Angelos has over 200 guitars, one for each song that he writes. He says he loves to remember his songs with the guitar that helped create it! I guess it is like a woman's dress, she wants a different one for each special occasion. 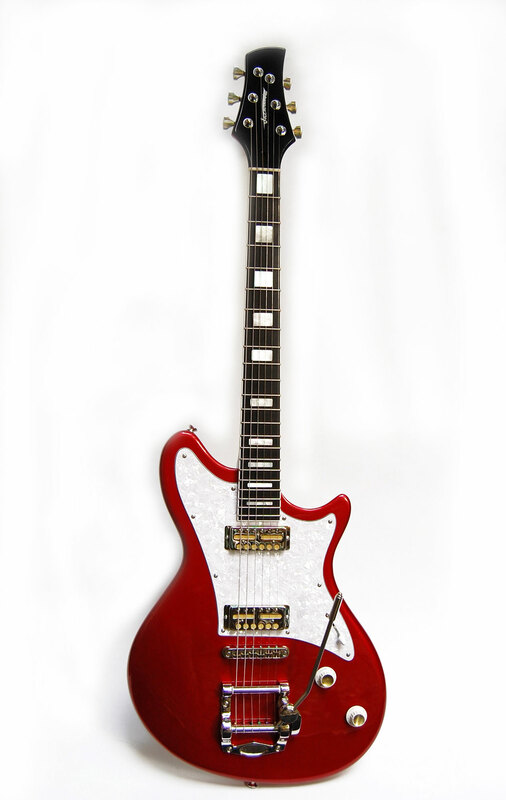 As of right now, it is predominantly men who have bought my guitars, yet perhaps it will change in the future." he says laughing. 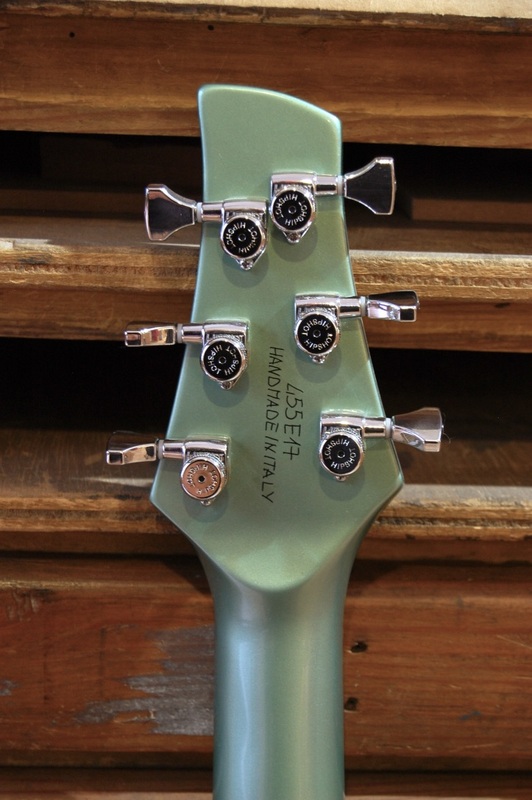 Number 455 is my favorite color of light teal and is only 3,500.00 euros. 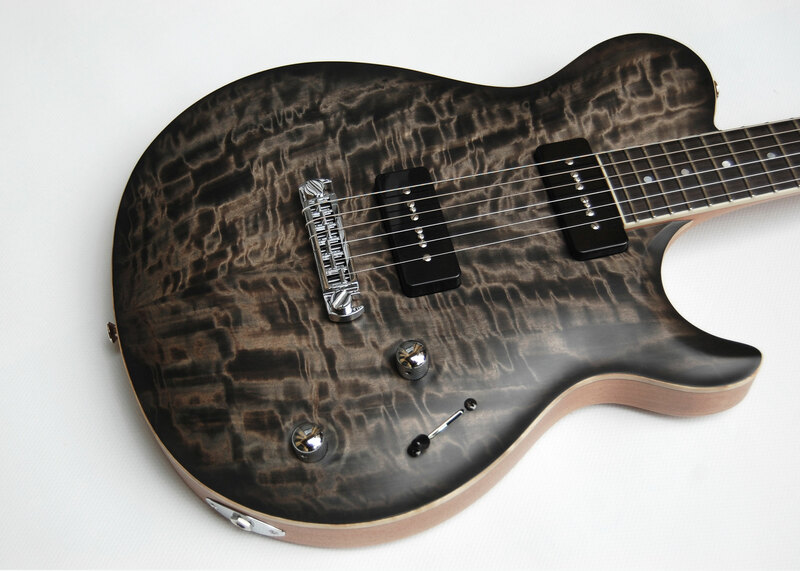 "It takes me about 3 months to custom fit the guitar to the person. 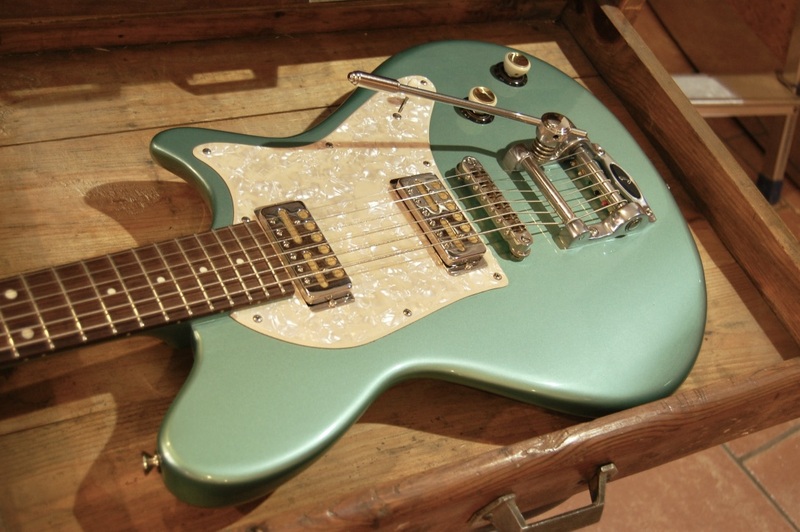 The balance, shape, weight, tone, these are all factors in the making of each guitar." The beauty of the intimate elegant tiny garden of El Brellin, Naviglio. Inside the 300 seat restaurant is on a couple of levels, and includes a outside Jazz Speakeasy Bar right on the Canals...totaly coolness. And the food? Um, exquisite. "See we have these funny shaped raviolis, " jokes Andrea who is very self-effusing about his very lovely and delicately presented dishes. They are exotic, elegant and very tasty, too. The Stregatto Gordan' s Pink is waiting for you! Along with the great drinks, I tell the owner, Andrea, that the bartenders and team are super friendly. "Yes, the restaurant on the canals has been here at least 20 years, and I handpick each person on my team. They have to be professional, yet they must be a team player, real friendly, and super funny doesn't hurt!" he says as we have a quick lunch today at the restaurant on its tiny outside garden. "You know it is important to me that I meet each guest. It is difficult to say the least that coming into work makes a person happy. Take for instance today. I am happy to come to work since I know that I am coming to meet you!" he says joking as his personal marketing assistant, "something new I added since Soheila is a friend of my wife. She comes here everyday to help with promoting the restaurant," sits and recommends things to do about the publicity of the El Brellin. Drinking a smooth old-fashioned at the ElBrellin Canals...a perfect start of a perfect dinner while you wait, listening to jazz music and the happy chatter of the Speakeasy tuxedoed bartenders. "My restaurant's tradition is important to me. 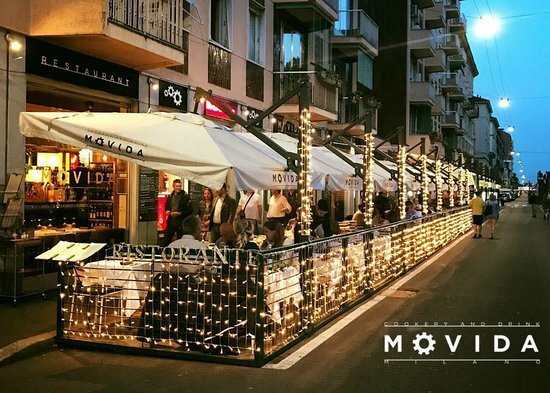 We are one of the first original restaurants to establish itself on the now very trendy Naviglio section of Milan, and I want to show the casual and fun side along with the elegance of the restaurant. I added a couple of vegan dishes, or rather my very big cook added a couple of vegan dishes, and of course he presents these in his own special way." says Andrea and I elect to try the octopus salad and a Vegan dish. My first Vegan, and it is scrumptious and delicious. "One of the first things that the tourists do notice about the restaurant is the New Orleans Jazz Cafe, with the tuxedoed barmen and the laughter of the guests sitting outside on the tables to the canals, it is not difficult to notice, though. 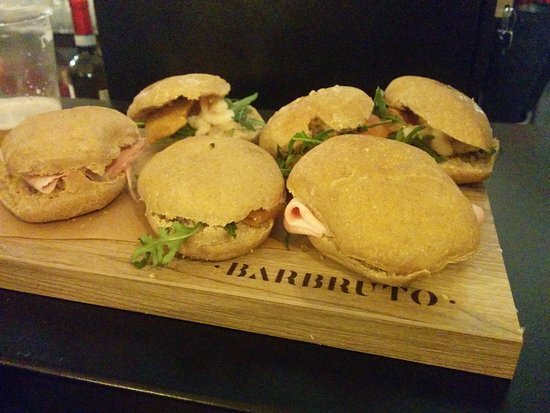 One of the things to do is the elegant presentation of the aperitivos. I did away with the buffet, and we give you a little special Italian aperitivo with your drink instead." "They are trying to develop both sides of the canals, here at ours it is the most popular, and the opposite canal is being called a Work in Progress. I know most everybody and some I really know as friends, not just business partners. I hope I am known for being a good person, that is my wish." says the kind capo Andrea. "You know life is about living and I try to balance my work with my family. I try the best I can to do the dance lessons with my daughter, and last month we all went to New York , which we loved. We visited Central Park and my son loved it. A couple of days we went to EuroDisney in Paris recently and that is totally cool, too. Yet the bill for Disney? Um, I don't want to talk about it!" he says laughing. I know the feeling! ON THE side the tiny garden in the alley, "I want you to meet the 96 year old lady who is sitting on the bench with her son. She is one of the original washers of clothes, which they used to wash here in the canals in the 1960s." he says. Whether in the intimate tiny garden of El Brellin...or the outside tables having aperitivos facing the Canals with live Jazz or inside the dining rooms, you will enjoy the experience. "My father was a important person in his day. He was a big Music Producer and Record Label Promoter. He had Nat King Cole and Quincy Jones write him notes and visit him. At one time he had 100 people working for him. He sold the Record Label Company in 1997 and one year later we went into the restaurant business. I knew absolutely nothing about the business. Now I love it. The cool New Orleans Jazz Speakeasy Bar is the first introduction to the El Brellin 5 Star Restaurant and personally the reason that I believe that people come here. The lively happy conversation and jazz music being played either live in the bar or on the live speakers is a plus to the atmosphere at the elegant bar. As you walk into the bar you enter a dark curtain and into a elegant many roomed dining area. OFFICINA 12 restaurant and GIN012 GinBar OF Naviglio section Milan, Italy I guess what I loved most about my interview with the Capo of the very chic and gorgeous Officina 12 and GIN012 of Milan's Trendy Naviglio section is his casualness and friendliness. When I ask if he received any answers? "Tons!" he exclaims. "TOO MANY," he laughs. "Yes we are going to taste each and every one of these, " he seems happier! Ha ha ha. "Seriously. It is great to know the response of the people that love the bar and have tasted the Gins." And lest we forget that the first part of the gorgeous 2 story arched brick warehouse building, great Gin Bar and the gorgeous garden was at first only a restaurant and American bar for the guests, let's talk about the chic restaurant. "Okay, it is named Officina since it used to be a huge office warehouse and it is Officina 12 since it is the address. That is pretty much it for the name!" laughs Allessandro when I am expecting this very significant explanation of why Officina is named Officina 12. "The restaurant is international and Milan influenced traditional Italian along with it being a chic and trendy restaurant. I do emphasize here that it is a casual restaurant. The interior is beautiful and unusual, yes, yet everybody is welcome here. We want you to have fun, have a great night and enjoy Milan." says Allessandro. "The food at Officina is raved about, yet it isn't super out of reach expensive. I want people to have a great time in Milan." "It is classical Italian, the best cuts of meat, the freshest seafood from the number one seafood mercato in all of Italy and perhaps Europe, Milan, the freshest daily vegatables from the mercatos and always in season. Nothing is freezed, here. And the modern chefs that present each plate with pleasure helps you to have a special lunch and dinner. And after, come on in to the Gin Bar to spend the rest of the evening trying some new Gins and the variations of which they can be served." "1984 is the Gin that we have made ourselves and it took 2 years to taste, try and finally make the brand of our choice, with 9 different botanicals in our Gin and a Master Distiller which is my friend, we finally have the Gin we wanted. It is here at the Gin Bar and in various bars in Milan. Nice ones that want to try the Gin in their specialty drinks. It does very nicely here in Milan and it is only 6 months old." says Allessandro. "The bartenders that I have are very educated and experienced in the Gin craft. They ask the guests what they like about a Gin and they try to make a cocktail for each one. The guests love the bartenders and almost every person sitting at the bar on any one given night sees a drink, hears the bartender explaining the Gins and then making the drinks and asks the bartender to make one especially for him or her. It's great." Want a old-fashioned feeling of drinking in a real Gin Bar? Then GIN012 is definitely for you! Naviglio, Milan. 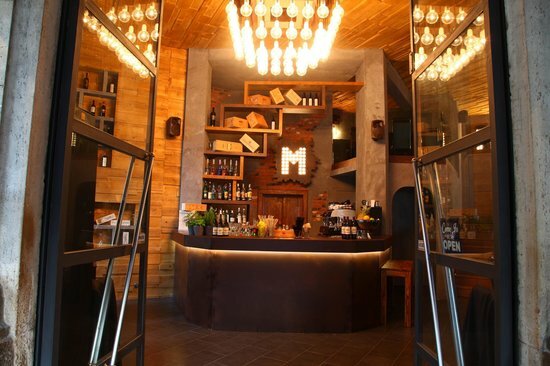 MARAVEA Wine Bar and Bistro "Maravea is Mileanese dialect from the original languages of Italy and it translates to Wonder. As if o my gosh that is great that is a wonder! And I wanted a universal word such as wonderful so everybody in the world would know and of course my best friend, Stefano, helped me choose that name Wonder!" says Ally affectionately known to his team who continue to call to him to help. "The name is Allessandro, yet my team calls me Ally." he says when I ask. "Alright, my story?" asks Ally, "I started out as a student of physics and chemistry and I decided at my 3rd year to open a cool wine bar with my friend, who is my best friend, Stefano. He has been in the business of restaurants and that is his love of food. I thought, alright let's open a boutique place that is of the highest quality, yet not so expensive,and the location is perfect since it is on the side of the Tram 9 on the way to Naviglio. The tourists can find us easily which is important to tourists and the prestigious university of Bocconi of Economics, known the world as being one of the best along with Oxford and Cambridge, is right opposite me. The students come here in the morning for coffee and breakfast and at lunch since we try to give the fastest food possible. Yes we have real meat in the cheeseburgers and real potatoes and fresh salads and simple ravioli or tortellini. Yet Stefano's cooking is homemade such as the Ragu and the pasta-pesto isn't homemade since it comes from Genoa!" he says. Suddenly the entire room and the quaint electic upstairs loft with a cushy loft swing is full of students ordering lunch. Some are drinking aperitivos! "Maybe they just finished exams and they need spritz's!" he says. "I truly want a high quality wine bar in the future. It has been open 1 and 1/2 years now and I have had and now carry about 22 wines. They are every one wines that say on my Sunday off, I visit a vineyard owner and taste the wines. Sometimes I change wines and the owners say, Why? Allessandro did you change the wines? And I say because I found something better!" And when you see that special bottle you love...you just have to include the top deck with a romantic dinner of light food and great wine and conversation surrounded by the best young minds with their thoughts of the future at the best university in the world at your fingertips...when I ask Ally, "Do the students give ME? financial economic advice! No! I give the students tips!" he says laughing. "Stefano makes the food simply and with love," says Ally and he shows me a couple of plates, "Okay I am not going to say that the hamburger is the most beautiful plate we have, it is a hamburger. " as the waitress brings a couple of guests light healthy grilled meat and real potatoes! "My first year, Our first year, we only had non-particular wines since we were starting and slowly I became more discerning and knowledgable and I plan on building the wine collection to about 80 wines. Now we have 22 and they are of the top wines. I want my guests to taste the best." says Ally. "I have a special wine taste on Friday 25, at 7.30pm (19.30pm) and it is from a very presitigious producer of Franciacorta. Please invite everybody to come and they can stay til 11.30pm for the event. 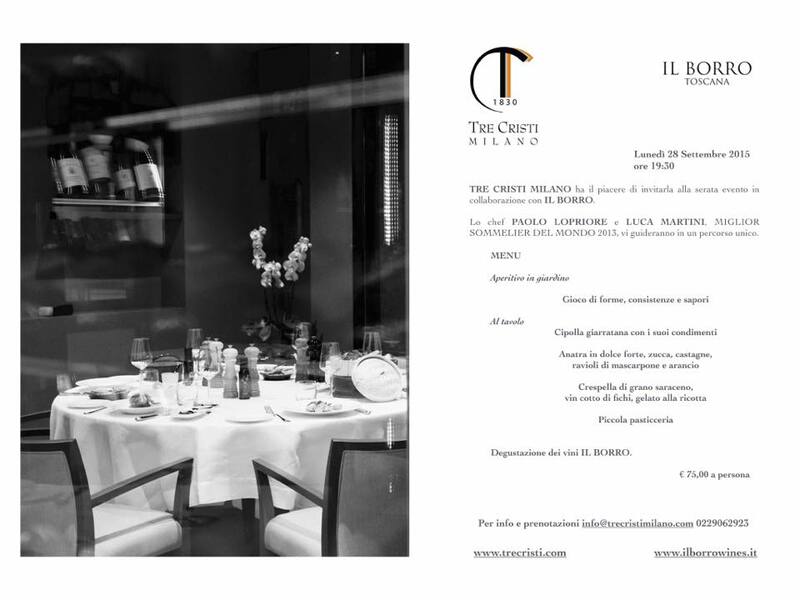 It is 25.00 euros 3 glasses of expensive Franciacorta and food. Plus a chance to meet and talk to the Franciacorta vineyard owner and guests. I believe it is a great opportunity to network and to talk about the Franciacorta wine." 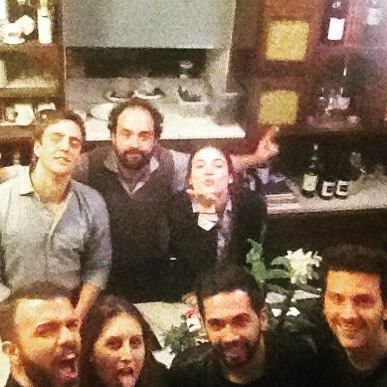 his restaurants, Premiata Pizzeria and Trattoria Milanese in the Naviglio section of Milan. He gave me the crown bottle 34 and I love it. Pictured here! The restaurants have a wine list of 200 bottles. Wow! "In 1997, Vincenzo decided to try a Milanese restaurant that featured zero pizza, since he had his next door, yet promoted the Milan regional cooking. It was one of a couple in Milan in 1997 and he is basically considered a pioneer for doing that. A risk and worth it. 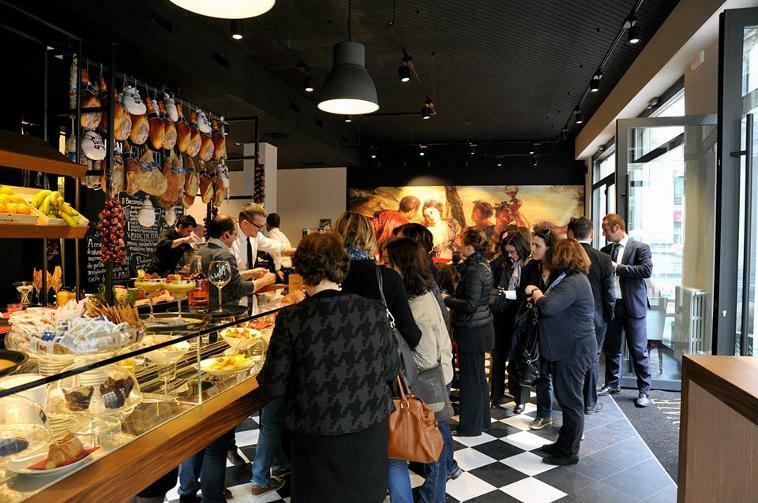 People love to taste the real recipes of Milan." says Mika. "Vincenzo is respected since he started his pizzeria, next door in 1991, having worked here at the Naviglio scene since 1976. Yet the first real one that he owned is the Pizzeria next door that has his own fancy pizza. It isn't big and thick, it isn't skinny and tiny, it is just right...a baby!" says Mika who is a stunning Norwegian blonde who happens to speak many languages and helped me to translate with the total 100% Capo who speaks only Italian!" 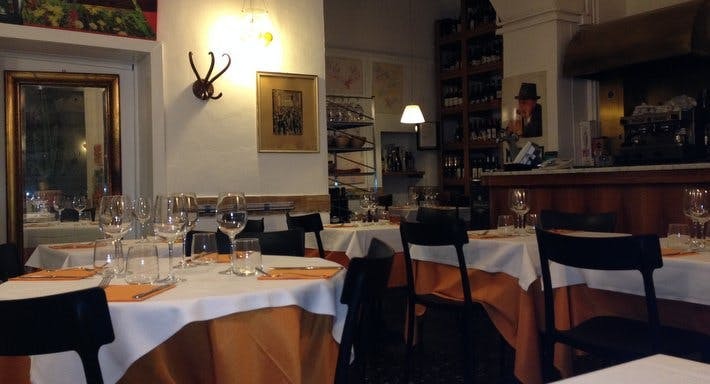 Questa foto di Trattoria Milanese è offerta da TripAdvisor. The ingredients, the best, the recipes the originals and the grace and service of the highest quality. 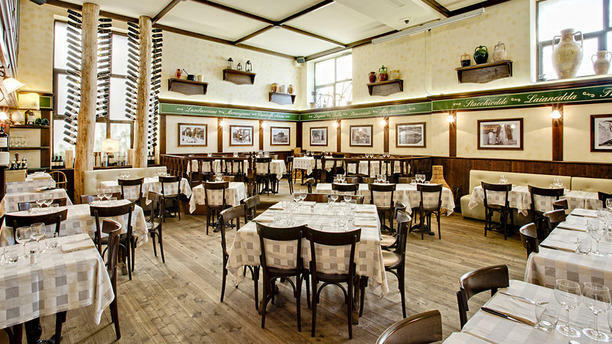 "We have 200 wines here at Trattoria Milanese, including his own vineyard, and since the restaurants are connected through the basement we use the same chefs and the winelist is the same. The only Pizzeria with 200 wine list!" he says. 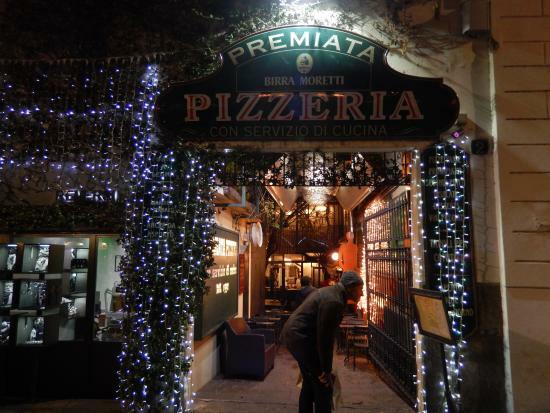 Okay...here is pizza, there is pizza and then there is pizza...here at Premiata Pizzeria, which respectively from the locals and capos has the best pizza in Milan located in Naviglio on the Grand Canal. "I believe that my pizza is the best since it is my creation. The Pizzeria is my first try as a Capo. Everybody loves the pizza I guess since I love it too. My team eats the pizza a couple times per week and they love the Milanese food at my restaurant Trattoria Milanese. They can eat anything that they would love to. They try a couple times per week. I tried the recipes and finally I came with the one I love." "Vincenzo is a real old-school capo," says his translator Mika, who shows both esteemed respect for her capo and affection, although his demeanor is a bit gruff he laughs and chortles at my jokes, which are many. When I tell him that the other capos in the Naviglio section say he is a great restaurantuer, especially Emmanuele Spirito of Sofa Garden, he laughs, "O yes Emmanuele!" he says and Mika says, "He likes Emmanuele, the baby, and he is the papa of the restaurants here!" she says. 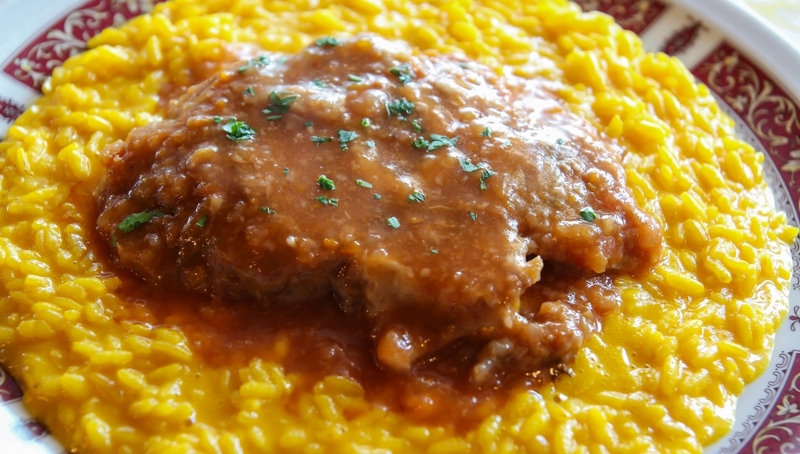 "The traditional Ossobucco is basically veal with homemade Milanese Ragu and surrounded with rissotto. Yes Italians love rissotto and um I don't know why." answers the Capo Vincenzo when I ask him why do the Italians always eat rissotto? "They do," says Mika, "that is true. 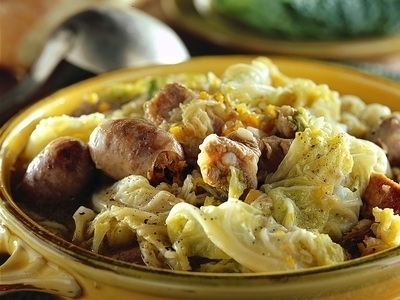 The tourists love pasta pizza and the meat dishes, yet the Italians love the rissotto." I never thought rice with any culture except the Chinese, and in America that is about all we eat it with, however, when I tried the rissotto, the best. It definitely doesn't taste chinese and spring rolls! 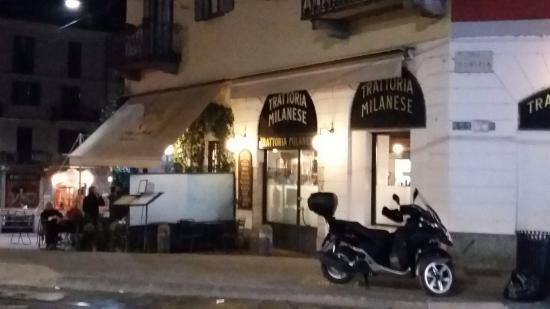 Trattoria Milanese...located in Naviglio section at Via Santa Marta 11, on the Canals. VERY FUNNY the three are being my sister Gina, me, and my sister Toni at the Aperitivo Cool Restaurant in Naviglio named MOVIDA ...at the canals via Ascanio Sforza 41.
stefani! amanda and meredith on bus 81 at Coliseum the 4 is adorable! alas I must wait to meet my Prince in the future! "The bar and restaurant have undergone many changes since the time when I bought it 20 years now. At first it looks nothing like this. Every year and maybe a couple of years I add something or change the color or change my menu. I love to keep up with the modern times." says the very funny, VERY FUNNY I can add, totally cool Capo Michele. I say that the university students in the ERASMUS program always love his aperitivo buffets!
" Americans? ALLRIGHT! FREE FOOD! They are the funniest and the friendliest, yet I make zero profit on the Americans. They love to eat!" he says laughing. "The food is varied, from fine dining and exquisite preparation of seafood to small snacks, as I say, such as Angus Burger. Okay, the Angus burger is the best meat in the world at 15.00 euros, but you know what I mean. Different variety and different tastes and the buffet and the aperitivo plates that we now give you in the summer are vegan and vegatarian to. We are modern, I told you!" he says laughing. He is such a nice person. Totally real. 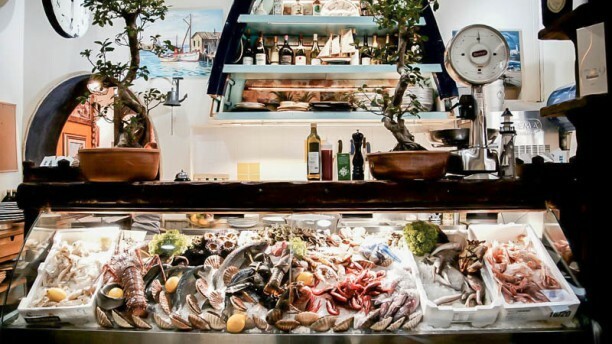 "The Milan fish and seafood mercato is one of the best in the world and definitely the best in Italy. It has been written up the last 30 years many times in the New York times. A high quality selection." "We have a great chef and I have, after many years of trying different colors and themes, made one side of the restaurant and bar a fancy dining area and one side the cocktail and aperitivo. Of course, you can have aperitivos on both sides and you can have dinner on both sides. Yet one is very formal and one is casual. Which ever one you feel confortable in. "We are very packed during Aperitivo and Happy hour, I guess because the guests love the food and especially we know how to make a good drink." 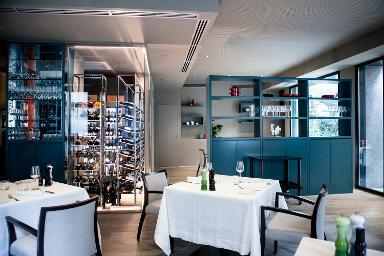 "The one side of the restaurant, MOVIDA, with the aqua blue walls and the black trim and the white accents is very posh. I love the colors and I complimented these with the dining side and added the movie star black and white photos. It is very chic. I loved it so much that now I am doing the casual side with leather couches and that to include the same color scheme. I am always thinking of ways to improve my restaurant. The funky phones piled up and the accents of props add to the restaurant. Yet, ultimately it is about 3 items; food, drink and friendly service." The lovely young wife and husband team, Simona and Luciano aren't the typical Italian Capos, although they are young, friendly and very caring about the service of the guests. Professional and shy, a little. 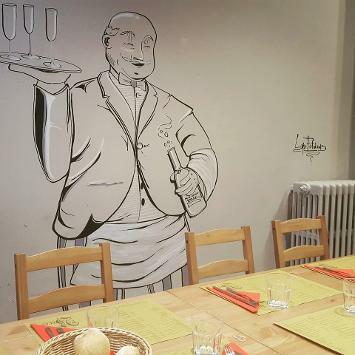 Yet at Trattoria Ponte Rosso, you can find the entire team happy to tell you about the real authentic cooking from the Maestro Chef who has been here the entire 3 generations of bosses! "Yes, I am the Capo, yet I remember starting out here as a young 25 year old and my teacher being my cook. Now when I come into the kitchen to make a suggestion 17 years later, and my Cuoco says NO!, I turn and walk right out of the kitchen. I respect his decisions when it comes to food. And occaisionally I can say can we try such and such and he is willing to give it a try. Yet if he says NO! that means NO!" says Luciano laughing. I take a couple of pictures of the couple and the sweet Simona runs back to brush her hair! "I have to be presentable in my photos!" she says and they want the newly decorated, one year, restaurant to reflect their modern tastes. "The restaurant used to be old fashioned and white walls and I don't know how to say, let's just say old fashioned and we wanted a cool authentic look to it. We exposed the brick walls on one side and sand washed a light ivory color to the entire restaurant in additon to the new cool lighting. I love the new design since it keeps the original walls of the building yet gives a little of our own tastes. We're young and we keep the recipes the same, yet the decoration is us!" "I have the utmost respect for the cook in the kitchen since he is honestly the only stable one here," says Luciano blatantly and I start laughing. OK! "I am saying that he has been here since the first owner longer than 25 years and in 2004 the lady bought the restaurant and in 2012 we asked my cook if he wanted to buy the restaurant with me and Simona. Eventually only me and Simona now own Ponte Rosso and I am VERY HAPPY about it. 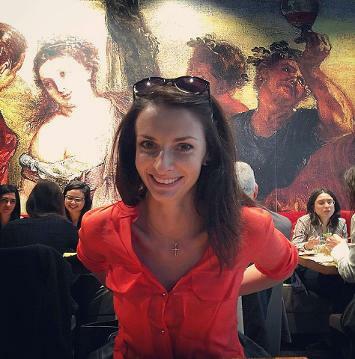 Yes it is a big risk, yet the last 6 years I have gone from being a little nervous and scared about the Italian people accepting me into the community as a capo being from Romania to being very comfortable and being surrounded with friends." he says. "Yes since you ask about the Ossobuco it is true that is one of the most asked for entries. Yet I must say that every Milan kitchen has Ossobuco since that is a typical milanese dish. I guess it is how you prepare it." "At first I took all of the awards from the 2004 til now and put funky cool things in the window and finally I thought that since we are one of the only restaurants here in Naviglio that has won all these awards, let's put the stickers and stamps back on. That is why the entire doorway has awards and prestitigious stickers on it. I worked here since 2004 and finally at the year of 2012 bought the restaurant. It has made me very proud to come to Italy at the age of 22 and start as a very young dishwasher and finally own my own very fine restaurant on the canals of Milan. That is one of the best experiences in my life. My Dream come true!" he says. 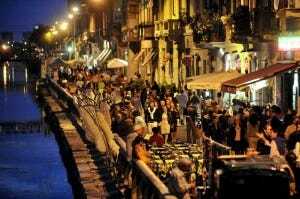 "The fact that the restaurant is right on the canals in the most popular place of Milan, Naviglio is a coup really. We love the section of Milan the most anyway and at night so many people have discovered it the last couple of years that the guests have been real cool and always have great stories to tell. We love to meet everybody and we hope they love us too." says Simona. And his experience? " I worked with 4 chefs in Milan and the best one is my cook. He taught me how to cook real Italian and I guess I can say that he is the best Italian teacher since he is my only Italian cook that taught me how to be a Italian chef!" he says again making me laugh at his honest choice of words! "Sofa Garden is only 2 years old, and we started with the building designing it totally ourselves; basically a architect would sign off on the ideas and plans we had and if it is structurally possible he let us do it!" says one of the young Capos, Emanuelle Spirito. He is young, charming, and intelligent. 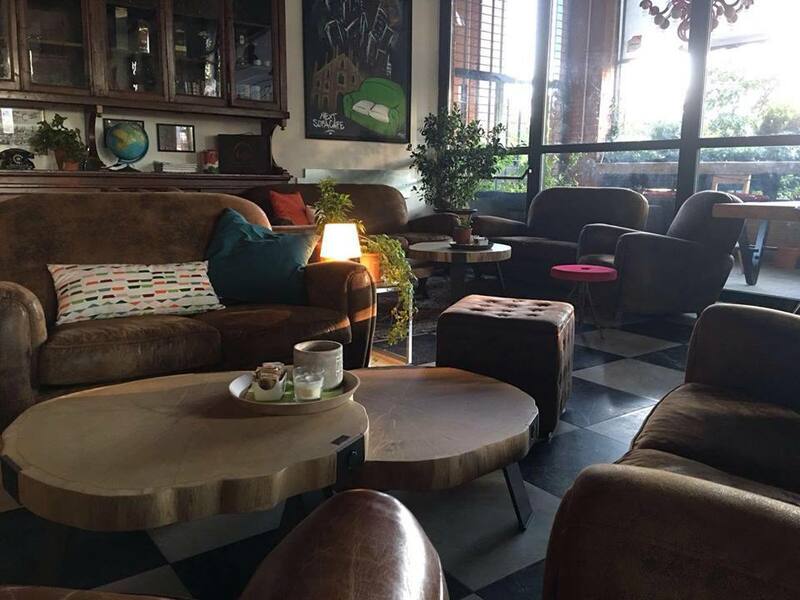 While Sofa Garden, the sophisticated avant garde should we say, COCKTAIL BAR RESTAURANT right in the middle of Naviglio on the Big Canal at 79 Ripa di Porta Ticinese and 02 8941 56 79 looks cool, expensive and elegant, it is really: "Just a place to come and feel comfortable with friends. Both me and Emanuelle are happy with the guests showing respect to us and us respecting the guests. It is all about a passion for life, a committment to life and we built the Swanky Cocktail Bar on many levels that reflect our way of seeing life." says Federico as I interview him at the beautiful Garden bar and his much more loud and rambuctious Sports Bar named "Rookies". I giggle when I ask if the cook is the young guy walking around straightening the rooms. "Yes, that is our cook. We have salads and sandwiches, a little more upscale than the burgers of Rookies, yet not fine dining here." The young cook smiles shyly and clears the big table, looking like a friend visiting his friends, dressed in casual slacks and tshirt. "The Sofa Garden is about respect, I told you," says Emanuelle, "and all that I care about is that the reputation reflects that." "I want every person that visits to know that they can come and stay as long as they wish, that they can take a big comfortable chair and position it to face their friends, to face the cinema, to face it whever they wish since they are as if at the home they wish they had." "Yes, true," says Federico, "I hope they buy a drink or something to eat as long as they come!" The Sofa Garden is built on at least 3 levels, plus a outside garden that is adorned with cool red barstools and a long table. "We bought the table from a company that gives you a letter telling about the tree that they planted in its place. That way we protect the environment as it should be," says Emanuelle. "I love plants, and as you can see from the Sofa Garden, we have a lot of green in here," he says laughing. Oddly enough since he is the serious one of the group as is his good friend, Edoardo of MADISON, is also a serious person. "Yes, usually I am serious since I, too, am in the financial market, yet I do have a sense of humor and if you get to know Edoardo he does laugh occaisionally!" he says. "I love the Sofa Garden since it gives me peace when I am here on a Sunday taking care of it. Yes, maybe you have to make the decisions in life to say should I swim in my pool and have fun on Sunday or come to the office. " When I ask what he would rather be doing? "It depends if it is raining or not!" he says, "actually, my pool is inside and that way I can swim either way. I guess it is about choices. "That is why we love the Sofa Garden. On Saturday, upstairs we had a table that took the Scrabble Board and played all night. They came for dinner and stayed and played games." he says. Federico stands with me at the Fussball table that is right in the middle of restaurant upstairs. "Yes people just stand up and start playing. Saturday night we had guys playing RISK at the tables, and people love to relax on the sofas. What I really enjoy about the Sofa Garden is that students can come here and sit and share the big table and work on the laptops all night if they want. It has a gorgeous sophisticated look to it, yet it is for people to come and use as if they come to our homes. And we are serious about that as you can see with the fact that we have sofas, not stiff chairs. You asked me if I ever would like to open a formal Michelin in the future? I don't know really, I am many different people, of course, I am multi-dimensional, yet for now we are having fun with Sofa Garden!" "I am at Rookies in the day and come to Sofa Garden at night, since Rookies has been here 5 years most people know that we show all kinds of sports from everywhere in the world, NFL, Major League Baseball, NBA, and of course Football European style!" says Federico. "The cool thing about Rookies is that you have a kitchen that is open til 2.00am. And we serve food til 2.00am, plus if you want to reserve a table at one of the three sports showings you can do that. If you love tennis, send a facebook request for a Wimbledon, say, game and a request for a table near that television and you can have it." says Federico. "Alright, Rookies is the name since we were all new to the bar scene and real Rookies and it is a name associated with Sports and hence, Rookies." says Federico. Now that he is in the "Majors!" are they going to change the name? "Maybe, we can think about it, we have graduated to being Majors in the sense of Major game players since everybody is starting to know we have a great reputation for showing sports games.!" "We have great sports, great conversations usually centering around sports and great burgers. The kitchen is simple, you know it is a perfect image of a American Sports Bar. We went to America before we opened the Sports Bar and we saw that in every Pub type restaurant, like TGIF or Applebees, they had Sport's Televisions everywhere and it is such a part of the culture. We wanted a American style bar. We have the kitchen that is open til 2:00am. If you are here and drinking beer and catching a game and ask for a Burger at 1:45am no problem. We can do that. The American bar is starting to have a reputation for eating late, too." "You know it is a Sports Bar, all that sports people want to know is how many televisions do we have!" jokes Federico. "The answer is 8 and we have 3 shows on at once, for instance, you can see NFL on one of these and the Soccer Game of Milan and Rome on one and you can see tennis on others. The people can go to our facebook, https://www.facebook.com/Rookies-Sports-Bar-123879854480175/ and reserve a table at one of the locations to best see their favorite teams. I update the facebook to show the sports on, yet basically we use SKY sports and MEDIA and if you know something is going to be on, just facebook us and we can try to show your favorites. If 3 people ask I try to help, if 22 people ask, we try to help. We love all our guests and Rookies is for fun. Beer and burgers and fun." says Federico. The lovely guests at Rookies, of course representing that American Culture in Milan! Trattoria Pugliese Acquasala, Via Ripa di Porta Ticinese, 71 on the Canals of Naviglio. 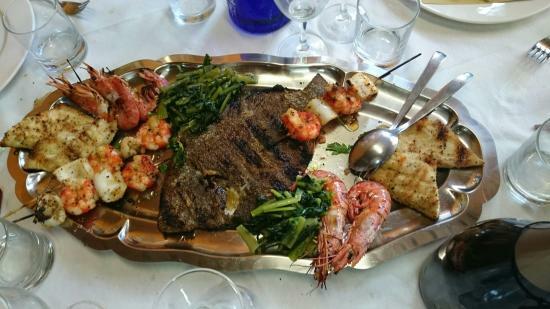 For the Equestrians, perhaps Puglia, the heel of the boot of Italy isn't for you, as the specialty is horse, "We have horse chops and horse sausage and a entire plate of delicacies and horse grilled steaks on the menu, it is named Cavallo and a very rare treat on the menu in northern Italy. 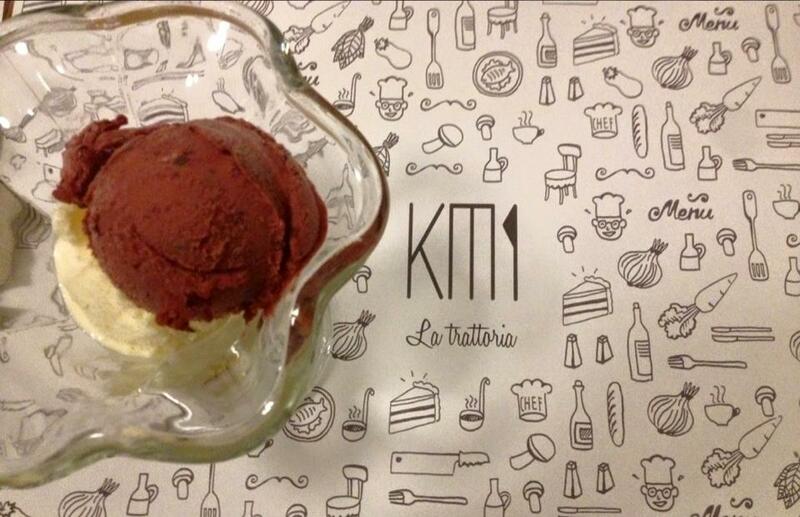 Here in Milan, we serve only traditional food from Puglia." says Marco, the very jolly photographer who has worked with the Capo, Antonio, the last 4 months designing the ristorante's social media, instagram, facebook and website. "Another specialty here is the fish named Gallinella, which we receive fresh from the most important markets of fish in Italy, and perhaps the world. From Milan they receive fresh fish from Sicily and from Japan. That fish is flown to Milan and shipped around the world within 36 hours. It is the best and highest quality fish market in the world and they catch it in Japan and fly it here and it is in St. Petersburg the next day." says Marco. "To me it is both," says Antonio, "My greatest joy in the restaurant is when my guests are happy and everybody is having a good time and the hardest is if they complain about something!" 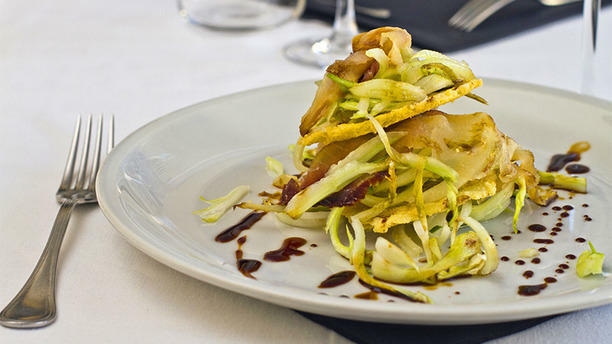 "Antonio's team is young and friendly and the cooks are learning the art of Puglia cooking from the boss. The food isn't exotic, yet it is very different from the Milan regional style. Yes, Puglia does have it's own style of pasta though, such as the typical orecchiette which is shaped in little ears," says Marco and I say that at least you can say hello to the pasta your munching on! "Yes, as you can see from the size of me, I love to eat!" says the friendly photographer and I ask him what his favorite is? "I enjoy the horse, although I do ride horses and I own a horse, the only people that are a little squeamish about horse are the Americans. The Europeans are a risky in the food they try as are the Asians and Russians; however, with the Americans we always have to say "just try" and after they try and love it we tell them then what it is!" he says laughing. I ask the Capo, Antonio, what he loves about the restaurant,"I love the passion and the feeling of the guests and my pride in my restaurant. You have to enjoy it and love it or it isn't good for you." he says. Above they went to a vineyard wine demonstration and were all drunk! As Shakespeare says, (or something to that effect) If music be the food (and wine) of love play on! 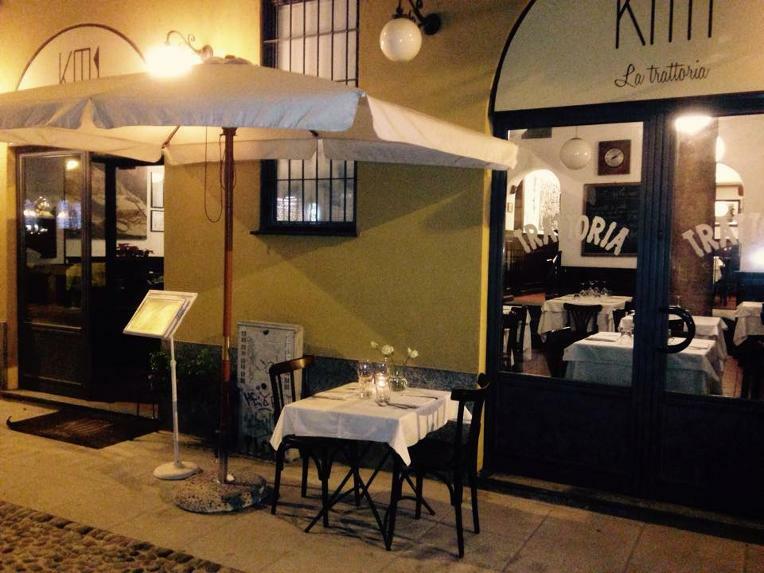 To find the restaurant: Trattoria Pugliese Acquasala, Via Ripa di Porta Ticinese, 71 on the Canals of Naviglio. Naviglio in Milan. MADISON BAR is gorgeous and since during the interview I saw how gorgeous for a fleeting minute it truly is, Edoardo is quick to say that it wasn't this from the start! "At first year with only aperitivos and great cocktails and O my gosh did you forget to order the vodka kind of thing, we were a mess. Now 5 years we keep adding to the sophistication and now Sunday Brunch!" 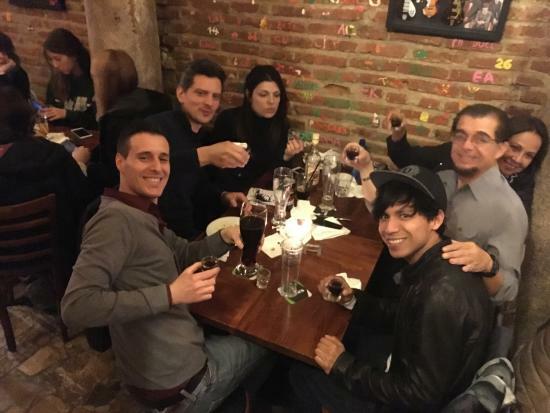 "I am in the financial portfolio sector, Lukas is a controller working with the city in Urban Planning, Allessandro works with his father who is a shoemaker and we all have to buy Allessandro's shoes, by the way, and the newest partner the last year is Federico, who you met last night. Federico is the head bartender since day one, 5 years now and he became a partner with us. That is great since all of us have professional jobs that we kept and we come in here at 6:00pm. Federico; however, has only one job and that is to make the best cocktails that he can!" says Edoardo laughingly adding, "The first year it is a mess since we learned everyday the things that we could do and the others we couldn't. Such as, a silly technical thing such as the curtains. We had curtains on the huge glass windows and the curtain commission came in and said we couldn't have the curtains. They have to be a certain measurement. We couldn't believe it and we ran into many legal issues with little items such as that. I am happy that you say it has a professional experienced beauty to the place, yet it is full of friendly people. That is the way that we wish to have the image of MADISON." "Let's see I would love to say to others that would love to start a bar that the number one item is keep hope and keep your determination that what you are doing is for love. If you love the place and the job you can do it." I say that Edoardo seems to be a very serious kind of person. "Yes, I am the serious one. I guess it is because I am the financial one, too. I have to be responsible for everybody and sometimes it feels like I have to rein in the other's enthusiam. They like to joke a lot and of course have fun. It is stressing sometimes since we own the bar and we have to pay all the people, yet at the same time, it is a great way to unwind from the financial stress of managing big portfolios for me at least. I can come to my bar and see that the guests are happy and have fun myself." He reminds me, "We were just out of 25 years when we opened the bar and now we are all about 31. We grew as friends, and since we were all great friends we fight sometimes, yet it is much easier I think that we are friends first. We all kept our other jobs too. Maybe that gives that air of sophisitication and professionalism you talk about in MADISON because I assure you it isn't the bar experience of us since none of us had it!" he says. "The aperitivos are the best in the city. We have a couple dishes of pasta different meats and variety of specialty plates. Tons of food. The international tourists come in here and are a little shy and they see how the Italians eat the aperitivos and they follow. They're nice." "Of course we spent many days on the design, yet it is important that people can come and relax in the bar eating aperitivos and sitting a couple of hours at night talking loud with friends and having a good time. I want it to be friendly. I want people to say, Hey let's go to MADISONS. The aperitivos, honestly started from day one since we were new and we know people love aperitivos. We have a small menu, too, yet the aperitivos range from 8.00euros to 12.00 euros and free buffet, depending on the drink that you want. That is very competitive with Milan." The Great thing about BarBruto near Porto Romano Tram and Metro Stop is that on Thursdays you receive a pint of the craft beer of the week for only 3.00 euros, which by the way, I didn't know at the time of the interview with the VERY FRIENDLY brothers, Cosimo and Marcello, and my translator Riccardo. Yet it is a very added plus. Very. And After Midnight They let it all hang out...as in push aside the tables and some serious dancing happens on Thursdays, Fridays and Saturdays! "Marcello goes to Rome or Venice or Florence or whereever they have a craft beer brewery, tries the beers and brings these here. I totally trust Marcello, and besides, I like to drink beer and the people love the beers, yet for me it is all about the sandwiches. I love to create new sandwiches and right now I have about 30. It is very rare for me to be behind the draft beers serving beers." says Cosimo. It is kind of funny that they each have found their specialty! Marcello is a very big guy, and since the translation of Barbruto is literally with a beard, all the sandwiches and specials are named after famous people with beards, such as Fidel Castro which I say Marcello looks exactly like! He says, "I trained as a theater director and directed many plays for the Milan Theater, and every book in the little book and sofa room where people love to sit and drink beers and chat is a play. 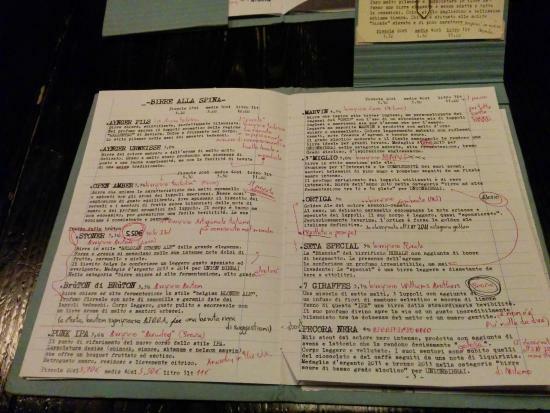 Here, my gift to you is a Italian language book of Anton Chekov!" O MY GOSH do you know how much I LOVE CHEKOV! The caption on the picture here is have a beer, have another craft specialty beer that we offer only from Italy, and have the 3rd beer and you can see the ocean and feel the breeze of the tropical islands, that is the attitude of the two brothers. They are SO SWEET AND SO MUCH FUN. I loved these people. Seriously. LOVED em. And when you say something serious to either one, they are a couple of things such as the Wild and Crazy CZECH bros from Saturday Night LIve or the Nigerians lauging at Lionel in Brandon Tarkenton's Tarzan. Like yes we should close at 3.00 am on Thursdays, Fridays and Saturdays, yet if we are having fun and you want to help tap our beers, straighten our furniture and make the place beautiful and make us laugh you can stay all night... ha ha ha ha ha ha ha ha laughs the Nigerians. I love them. "Alright is it my turn yet?" asks Cosimo, the "older brother of 5 years. I am 40. Let's see for me I love to make sandwiches, I have about 30 different specialty sandwiches that are all named after famous people with beards. And of course the best ingredients, yet for instance at Halloween my very creative younger brother, Marcello had us make specialty pumpkin sandwiches." he says. And of course named after a beard, right? Of course. Both Riccardo and Alicie, who is half Syrian and half Italian, "I am born in Italy, trust me," she says, tell me, "We are both gay.Riccardo says that the neighborhood is definitely gay friendly, and the cozy shabby chic creative, comfy Craft Beer bar and Beard Sandwich place welcomes everybody from around the world. 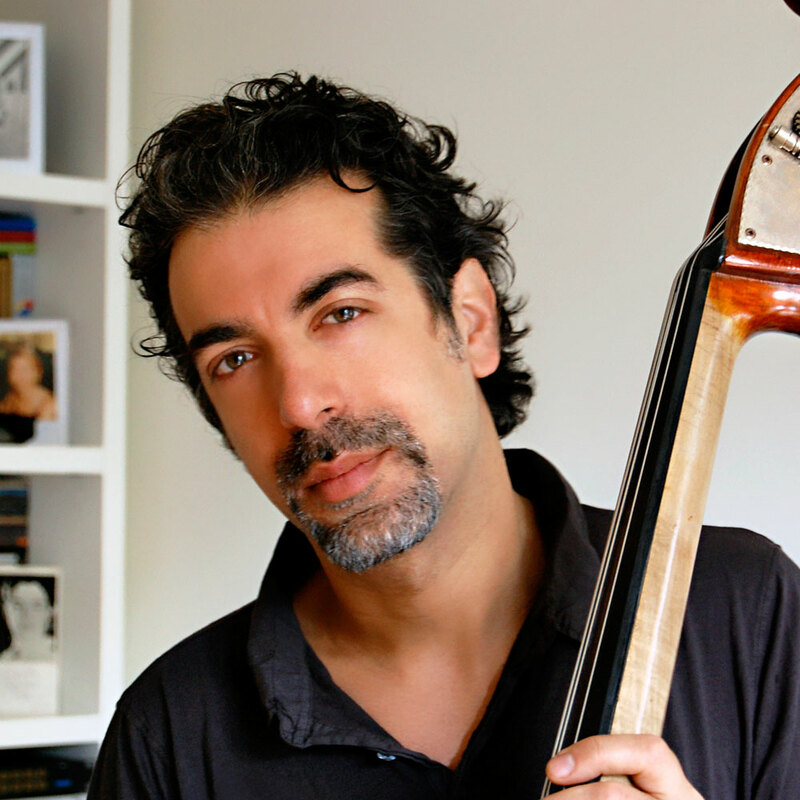 Sometimes I ask Cosimo or Marcello to play a GAY song, and they say I can play whatever I want." says Riccardo, who looks very gorgeous in person, by the way. "Girls hit on me all the time and I try to be nice but I am gay." he says. Alicie tells me she wants to "Meet the person to share my life with, yet I work with Marcello and Cosimo who are very straight and I am a lesbian." she says. They are So funny and loveable here. "Okay basically, I went to theater school to become a director. And I worked with the Milan National Theater and directed many plays of classical playwrights. Every play in the bookshelves is a copy of one that I have at home. I love plays. I thought that the people could come here and enjoy the theater through the plays." says Marcello. And I ask if they read the plays, has he seen them? "Yes, they do. They sit on the sofas, where the little ones are playing and they read and drink a beer. O My Gosh we have sooooo many children playing here tonight." he says laughing. They do have a lot of children since they heart love balloons and festivities and the boys and girls are playing hounds of the baskervilles.! "Alright," says Marcello, "let's talk about the beers, since me and my brother opened the Pub because we both like to drink beer, and me espcially plus my brother is great at inventing sandwiches. Specialty ones. We have very high tech storage containers for the craft beer, actually it is all as high tech as we could find, a little expensive, but we made the Pub solid and to last many years. The beers we change about every month. They come to us and have us taste the beer or I travel around Italy. That I love to do. I can taste all the beer and Cosimo tells me to choose whichever ones I like. He says that he just like to drinkt he beer!" says Marcello. They have fun in life. You will really love the place, the atmosphere and the team. "On one side of taps is high fermentation and on the other is low fermentation and that is how Marcello chooses the beers. We always have a couple of each." says Cosimo. Okay. All I know is their beer is very good, not so expensive, and totally cheap for the students that live near on Thursdays! I loved Maddalena and her mother! named Alba who laughed and giggled and laughed delightfully the entire interview. Loved her. "O Maddalena cooks much better than me!" says Alba as we wait for Maddalena to sit with us and share her story of Luca and her. I must warn you that Maddalena has the most beautiful red hair and it is natural, yet she immediately has you at ease. Very friendly and honest and laughs sincerely at my very bad jokes, "Me and Luca love beer. That is basically why we opened the pub," she says honestly while her mother starts laughing loudly. "We worked at a pub down the canals about 10 years ago and we met each other and said, let's open the Pubs Craft Beer business!" she laughs now and I start to giggle thinking o dear the story is going to be funny... "and when we found the pub it is Zebra, is that the right word? to say a Zebra?" and her mother, Alba points zigzagging, "black and white." O...I see it is a zoo theme before you opened the pub, I ask. "Yes and we now have gorgeous natural brick and we have soft walls and iron staircases and books and books and books and little places to sit and chat, like little nooks and crannies!" from the American slang. "I am bad with my English," says Maddalena charmingly. 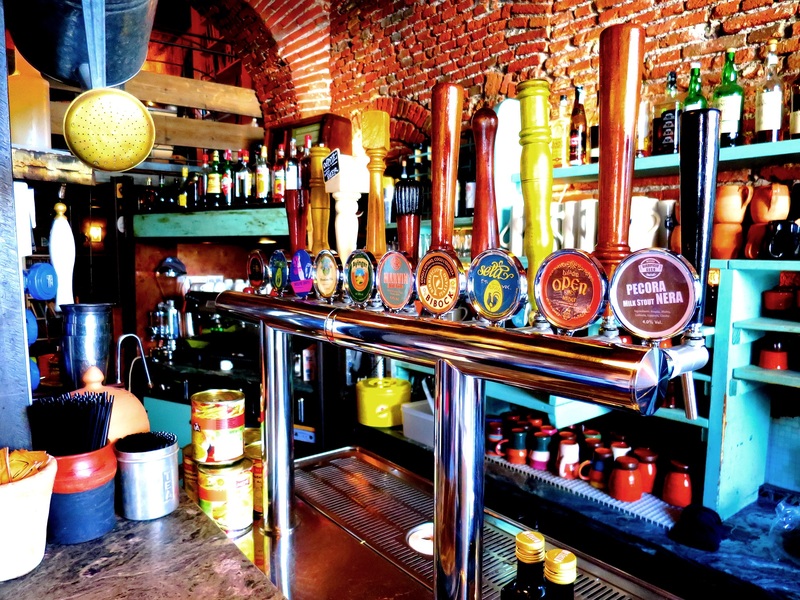 "We are here the last 10 years everyday from 11.00am to 2.00 am or 3.00 am and it is along day and we needed to feel comfortable and yet we needed to present the craft beer from Belgium and from Germany and from The United Kingdom and from small breweries in Italy, especially around Milan. And now we have 16 beers on tap, all craft beers, which at first it is hard since it is expensive and people ask why we need that price to be high and now they love the bar and the craft beer prices have lowered a little." she says laughing. "The years now are easy yet I am older and tired at 2.00am! The early years are more difficult yet I am energetic. Now I say maybe I should open a small boutique restaurant!" "We love mostly helping the small craft beer breweries around Europe that people would only know if they drank the beers at a Pub such as the one that we own here and you know it is a lovely experience when people say thankyou very much for promoting beer." she says. "We love the beer and we want to come here everyday and drink it...yet the guests love it too." she is a funny lovely very nice person. Alzaia Naviglio Pavese 2 on the "wild trendy canal" side which the locals say is less upscale, however, the locals and students from around the world at the University of Milan rave about it! "We have natural meats and cheeses typical of Italy here for sandwiches, yet real good ones, and the typical food of a Pub, yet it is about having a great evening, a great couple pints of real Craft Beers and something to eat that is 100% authentic naturally Italian. Remember, though, I said that me and Luca LOVE beer. That is the real reason we bought it." says Maddalena. "Every beer on the draft, which is what we are famous for, although we have maybe 5 to 7 bottles of Craft Beer, we love to showcase the Draft. Yet every beer on the draft is a beer that me and Luca love. It is a beer that we drank and said, alright we can drink it at the Pub, let's show it!" she says totally straight faced! "Of course with the birth of Emma, the 8 year old daughter who rules the life now, we alternate the nights at the Pub. We see each other every day at the Pub with working with the team and we alternate the nights that each of us can play with Emma. In June we open a tiny boutique pub in her size with only 5 beers on draft and one caretaker of the Pub. It is a fun family adventure!" she says laughing. I guess when you are happy and own a artsy trendy shabby chic Pub in the coolest section of Naviglio right on the canals you are happy most of the days! "Yes, however, as I become older, as I said, it is party party party when you are young and after 35 to 40 I start to get tired at 2.00am! Now maybe the restaurant is coming! Straripabar in Milano is a 4 part combination of the Capo, Marco, who is a real treat! Marco says, "The first thing people do as they come into the restaurant bar is start walking around to the different rooms taking pictures. When I opened it 9 years ago i wanted to make it mine. I have 4 different rooms, a elegant dining section here on top, a pub atmosphere down the stairs, a family area with couches and playdough for the kids and big kids to play with and decorate the walls of the entire restaurant as well as eat lunch and dinner here and the bar area. I fought with the company of Guinness in Ireland and they were very insistent that Guinness be in Irish Pubs only around the world, yet I won and people can come here and eat a Milan Grandmother's recipes lunch or dinner from the kitchen and drink their favorite beer without the screaming and yelling in a wild Irish Sports Pub. They love Guinness and they love my fun Pub Restaurant and I am happy to combine the two." says Marco. "You know one night I was playing wiht playdough at the bar and I thought, hmm...I don't want people drawing and writing on my walls, yet it is a artistic creative pub, so maybe...and I thought of the idea of people to make little objects from playdough, put these as sculptures on the shelves and maybe write messages to stick on the walls. And that is how the colorful playdough messages have come to adorn the walls the last 9 years!" says Marco laughing. e : 3492740870 Now THAT is cool. The silent beauty of Naviglio section, my favorite, of Milan in the morning. Giorgio Armani museum and theater is right under the Genova train station on the other side of the tracks...gorgeous while I took 1 hr. gasping at the designs and headed to the canals where I met the coolest entreprenuer named Marco, "It is a different story. I was a executive chef in Fine Dining for 15 years in California and my father became ill in Milan. I dropped everything and honestly lost my 15 years of life, reputation, financial situation, experience when I zoomed home to see my father. He recovered after many months in the hospital, yet I stayed to take care of him and my mother. I started a catering business and above all a video business! I needed capitol fast to start my own restaurant which is here. I started it with $300,000.00 in debt! 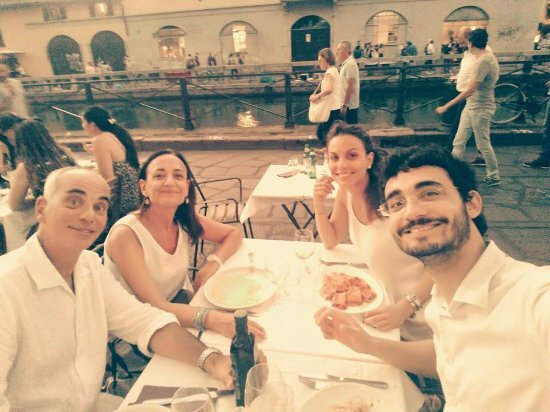 And now, 9 years later I can happily say that my mother and father are well, and that I am out of debt with the help of my guests, my friends and the commuity of Naviglio which is real and helps each other. Now I have no regrets and I am very happy with my life. Plus I have a 5 year old daughter." says the very intelligent and active Capo, named Marco. "The food is traditional from Milan and Italy and it is simple, we have great Pub cocktails, and friendly hands on atmosphere plus we have Guinness. What more could you want!" he says. "I wanted a restaurant to represent me. I am many different people and each room is me. " says the Capo as he offers me a Guinness to try. I LOVE Guinness and sip it as we talk. "When people come to my home, I am many different people. I want to be able to eat chips on my sofa and have a nice romantic dinner at my dining room. The same is here. People have different moods, yet sometimes when people come to a "PUB" they are fighting with each other. I don't know why. I immediately give these couples playdough and tell them they must create something on the walls! And within 5 minutes they are laughing with each other and the rest of the night is a good night." he says. I tell him maybe he should of been a marriage counselor instead! "Yes maybe, yet for instance, I am mostly here with the people and organizing my Pub. Plus I have a 5 year old daughter now. If I was back in the kitchen, I would have to be a control freak and head chef full time. I love being the boss of all of it. It is very hard to be a head chef and take care of the restaurant. It is almost impossible. I trust my team that they are nice. That they are hardworkers with high standards. When the chef sends out the food from the kitchen it is my recipes and my grandmother's recipes and he is the best. He tweaks these his style, yet they are mine and we get along famously. It is a good relationship." says Marco. Ciao met the young owner, Federico, of the 30 year traditional trattoria on the Canals of Naviglio Milan located at Alzaia Naviglio Grande 62. KM1 La Trattoria's tables sit under light umbrellas and the little waterboat filled with tourists in the narrow canal passes a couple of times per hour. It is charming and the owner is both serious and fun. "I came here a couple of birthdays, maybe 3, and every year I fell in love with the restaurant. The location, the experience and since my Grandmother owned a restaurant til she is 80 in Brescia, which is near Milan, I thought perhaps I could try a restaurant business. Both of my mom and my dad are lawyers and my dad is a judge. So, I thought I don't want to be a lawyer and let me try. It is a 24 hr. a day job and it is long hours yet I love it. Each person is different and I have to approach each table and situation differently. Sometimes a younger person wants me to be hilarious and I try and if I am dealing with a person who was my father's age I can't be hilarious." says Federico as we sit and talk about his life as a Trattoria Capo. I'm not sure if below is the new team or a group of guests! "I love to imagine that here on the canals it is akin to San Francisco's acceptance of the young people of the world who are free-thinkers. They see the world as opportunities to have fun and to know each other with differences and acceptance and hope Naviglio is that to people." says the charming and honest Federico. Come visit! "When I came here along with my partner, who is shy, we thought to have a new team since although we are young we want tradition and experience in the kitchen. The new chef is old, about 40, and we work together to experiment with new dishes everyday yet I want to learn the old-school traditional recipes of Milan. My grandmother is from Naples and I wanted the Milanese recipes here. And everyday we have let's say 6 courses, 6 desserts, 6 appetizers, 6 pastas, and the specials. Yet some people come all the time maybe 3 times a week and if I didn't have the specials to entice these locals after about one month they would of eaten all my menu items." says Federico and I start laughing. I ask if he sees the locals coming back does he say O NO! and run into the kitchen yelling to the chef that he needs to make something new for the day? He laughs, "I prepare before they walk in!" he says. "I was never a big sports football fan, and now I don't really have time to go even if I was. I love learning how to cook that is a love of mine and now I work with the chef to do that. I always have loved traveling and my favorite city is San Francisco. It is most like me. A city where people whether they are maybe billionaires or working class people talk to you and listen and are interested in each other honestly. I spent 2 months there and loved it all. That is a special city for me. I love the glamour of dressing up and the casualness of life and yet I appreciate each one. If somebody wants to go to galas all the time that is the choice they make and each person deserves a choice that they choose. I appreciate all people. " he says. For me at least I loved the ivory linens on the tables, the Al Capone 1930s feel and the dark wooden chairs that brought glamour and a special night out to mind. "I do Rock and Roll themes, Medieval themes, classic figures and honestly most of the designs do come from people asking if we could do custom made designs. And that is a big section of the work that we do." says Lorenzo. "And if you have a motorcycle snap helmut I can make these too." 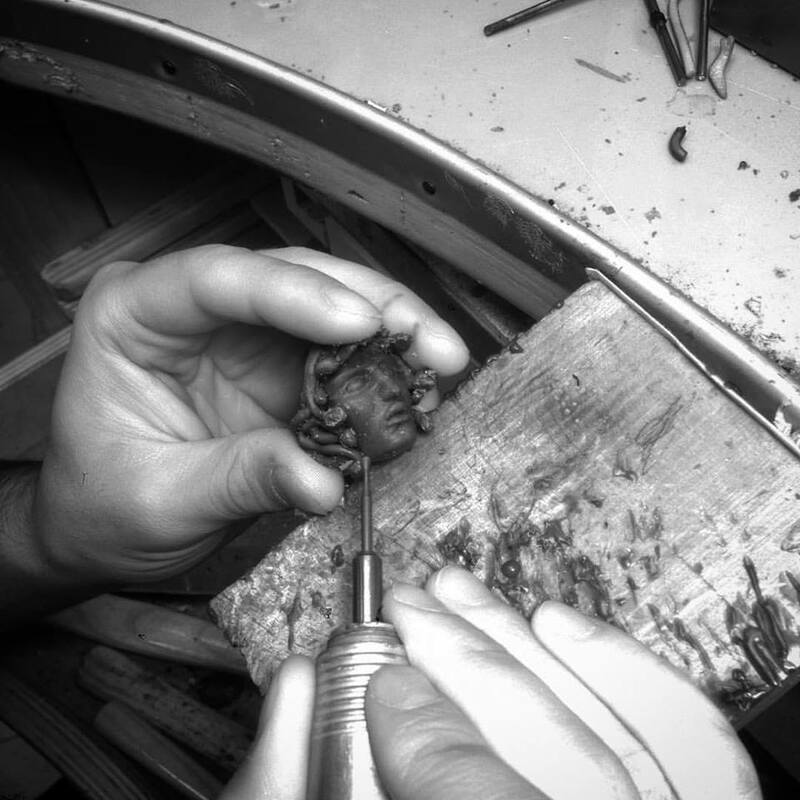 Lorenzo, the artisan, at work. 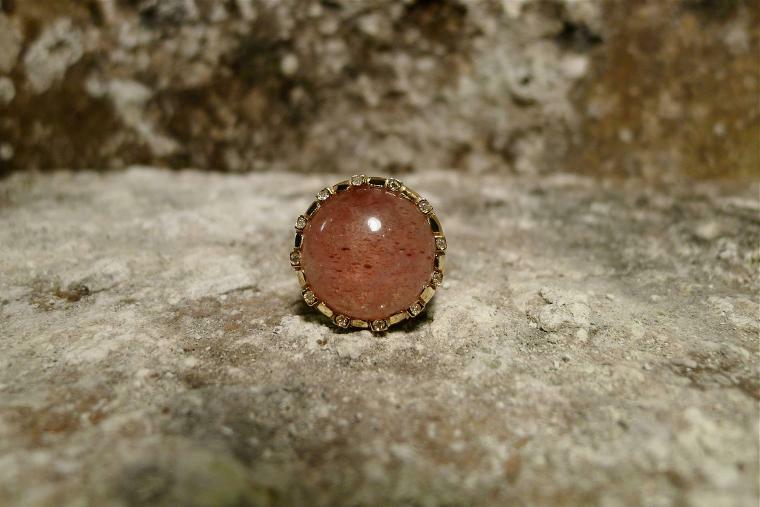 "The jewelry here is one of a kind. We make each piece separately. See the case here?" he says as he shows me some totally cool rings. "Each one is handmade and can not be copied. 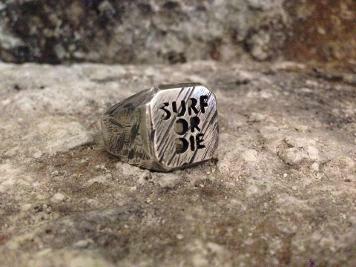 If you want a skull silver ring we make it especially for you. We can add say rubies but since you asked about emeralds these green jewels can become very expensive. We couldn't heat the emeralds because they would explode. We would have to custom make the eyes and custom make the emeralds and a ring of silver is about 160.00Euros plus the emeralds it is about an extra 1,000.00Euros. I mean we could yet it is expensive." he says. The Simple beauty of ELL jewels in Milan. The store is set in a middle of the trendy yuppie industrial section and the street itself you will love...plus these great cool designs. And here is a gift card that you can make totally personal...give the gift card and have your receiver come in and design the perfect piece of jewelry...only at ELL Jewels, Milan. Milan the Fashion City of the World...and Who owns the Milan Basketball team? Giogio Armani! The city is known as the financial capitol, the sports center, and the Fashion City of the World... To find out more about these subjects visit the people I met in Milan including the one and only dedicated to basketball store in Italy smack in the middle of Milan and the cool financial giant of 30 years, Emma, who now owns SCIATT Restaurant having left the Banking Financial Community 2 years ago,come meet Emma at SCIATT Milan located at Via Monte Grappa 18, and to talk sports? visit Dario and Federico at Airness Basketball below. "Me and my friends went to America to California and to Nevada and Yosemite and the Grand Canyon and we ate a couple of Diners and fell in love with these American Diners! So we thought, hey lets bring the concept of the American Diner to Italy. And we ate at all of these that we could find. And now it has been 3 years since we've been here." says the adorable Simone, who along with his partners Maurizio and Mario are the young funky owners of Sunny Side Up. http://www.sunnysideup.it/ "At first the Italians would come in here and they would say, "O it is a lovely place but you should have more Japanese in here, " or "O it is really pretty but it is a strange counter..." and the Americans would come in AND sit at the bar and say loud and yell and laugh, "Alright a American Diner, WOO-WHOO!" They're very different. "Now we have 1/2 and 1/2 of Tourists and Italians from the Neighborhood. You know Italians all around the world are fond of their traditions and the customs and especially the food. To try something new is alright yet here we seriously have tourists that come in here the first day and they stay the entire vacation and eat here everyday. They say thankyou totally much for making us feel comfortable here in the city and they drink a lot of the coffee! You know Starbucks did Focus Groups and they won't come into Italy. They say that the Italians are used to the 70cents to 1.00Euro espresso and won't pay for Starbucks 4.00Euros. Seriously." The typical American Breakfast can be found at the authentic SunnySide Up. "Since I am Italian I had to do all of my own research such as what are American Holidays that would make my guests comfortable? Now we have 4th of July specials and we just had Thanksgiving of Turkey and Cranberry, Pumpkin Pie and the decorations. I know all of the USA holidays and I love America," says Simone, the Milan born owner of Sunny Side Up. "And the music is all American such as Willy Deville, Elvis of course, Rock a Billy, Whiskey Town which I know you love and I love Whiskey Town too!" he says. "And the girl here does all of the music because she is better at that than me. I am good at the food and the culture. The Italians are getting alittle used to it yet the other day some little old Italian ladys came in and said, "It is beautiful is it a cafeteria?" he laughs. "I say that it is a American Diner!" Their charming niece, not pictured here, translates since the family is very Italian and speaks very tiny English. "She is the master chef," Guilia says of her favorite aunt, Stephania. And when she translates Stephania giggles at the use of the word Master. "Yes I am the Master!" she says. "Everyday since the last 7 months of opening we sit and talk about the menu. It is a try that one day and try a different dish another day. It is new. The restaurant is a design concept restaurant which means of all the Baccanales in Italy they provide the decor and furniture and you are allowed to make it personal. The food is the one item that is totally personal. Stephania chooses the Baccanale food and I am the person that cooks it! She loves the tartar and we do meat tartar here. The guests are a mixture you know. The political and the Wall Street and the biggest newspaper in Milan's office is here and they come in everyday. 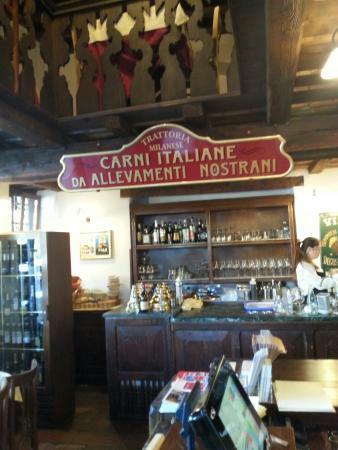 We try to see do they love this pasta and of course 1/2 is the tourists that come to try real Italian food. Stephania loves that to try and create the different food everyday." When I ask Stephania what her husband loves to do she says, "He loves watching everybody and he loves the people. He is much more the people person talking to everybody and I am the one that loves to make the different food. It is a perfect combination. "She says and intertwines her fingers together. Since Stephania says "that Milan is a Fashion, Sports, Business city." when I ask her to describe the city. "RUGBY!" says her husband, Marco, "My father is a sports guy, in Chicago they have 10 famous Rugby teams!" 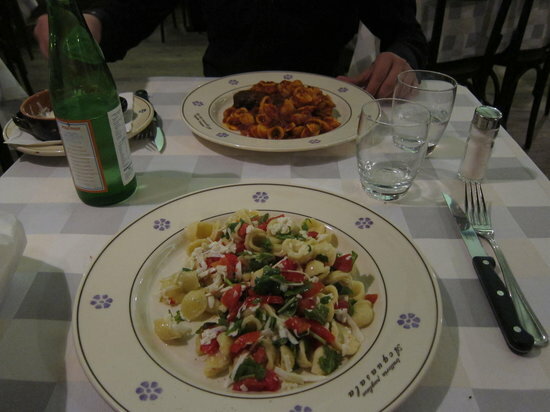 Be prepared for a fast-paced real family when you enter Baccanale in Milan. Above you see the artistic work of one of the sons, Lapo..."One of my sons is here and is a artist the way that I am" says Stephania(the owner and wife of the Capo, Marco). "One is married in Chicago-his wife is from Chicago and he is studying to be a pilot. One is Gaia who is in London and the younger one, Giacomo is too young to work with us." She says. "I WANT TO OPEN A BACCANALE SOON IN CHICAGO!" says her husband Marco! "WE love the city of Milan and the Italian people and that is the warm affection that we missed working and living in palma di maiorca the last 7 years. And since our son is in Chicago we thought we should open a Baccanale here too." she says. 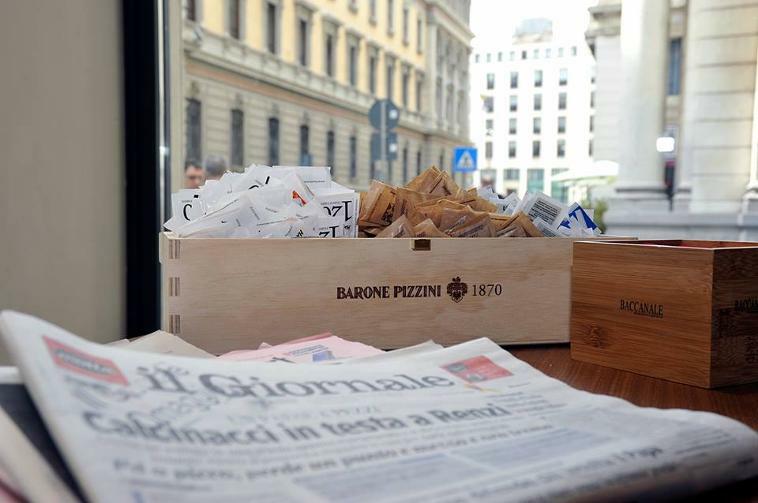 "The young yuppies love the famous Milan aperitivos which start here from 18:00pm to 20:00pm, 6Euros to 8Euros drink and all the buffet...they love it." 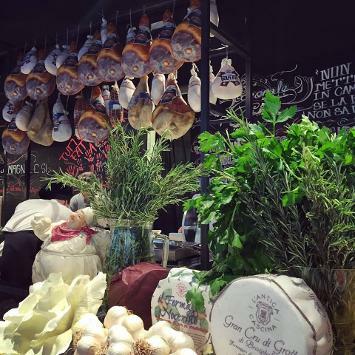 "The fresh Italian ingredients that make tourists from all around the world come to Italy!" says the Cowboy, one of the staff that helps translate for me. When I enter for the interview, Marco yells, "COWBOY! ENGLISH!" The cook is pictures here & below is Marco. "The main thing is to have fun." says Stephania through the help of Guilia. And she is joined on and off by Marco and while he runs to the counter, Lapo comes back and forth to translate the English. "The family is wonderful. I lived for a little while with my aunt in Palma di Maorica and in Australia. They love each other and they love to travel. They love Milan yet it is about bringing a great Pizzeria such as the famous Baccanale to the people of Milan and when it succeeds to bring the Milan culture to Chicago. They love that city and their son loves that city. Yet he misses his family. They thought alright the Baccanale is truly successful here and lets try America now." says Guilia. Look out Chicago here comes the Fatai and Paganoni families of Milan! 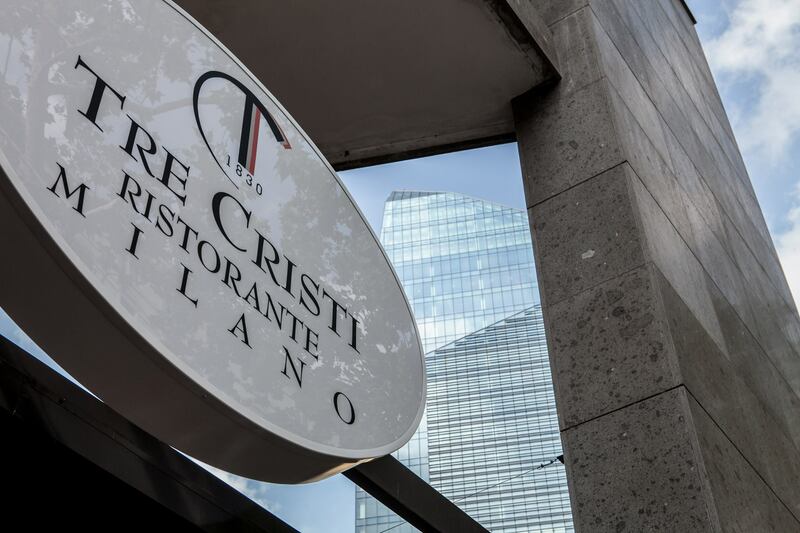 "I traveled all over the world," says Riccardo, one of the owners of Tre Cristi in Milano, the otherTre Cristi being the original world famous 1830 in Siena, Italy. "I traveled for 25 years around the world and lived in Asia and Australia, India, Korea. I feel most at home in Siena where I am born yet the world has shown me many things and I am a much more sophisticated person than when I grew up in Sienna, if that makes sense?" he says. "Maybe 100 Countries around the world with dealing in Pharmacia Business. Milan is very different than Siena which is a provincial traditional Italian town. Milan is a small city that acts like a big city. It behaves like New York yet it is in fact a much much smaller city. And it doesn't really represent Italy. It is South Central Europe and the Italian things that you can find in Milan is only the Italian habits of internationals that moved here. The food here is Italian yet since we have one of the top 10 chefs in all of Italy and the top 15th in the World who is now the head cook and the other cook comes from a 3 star Michelin. There are only 5 in Italy in the entire world. The food and kitchen here we say is a research center. We try to find the raw materials of the food and the chef's expertise is to take that raw material and make something unique with it." Traveling the world of 100 Countries and settling in the provincial town of Sienna and Ultra chic Milan? "Yep I got bored with traveling Asia and exotic places...in the end they're all the same and one must settle in a place that one feels comfortable with and I am happiest here." Riccardo says. 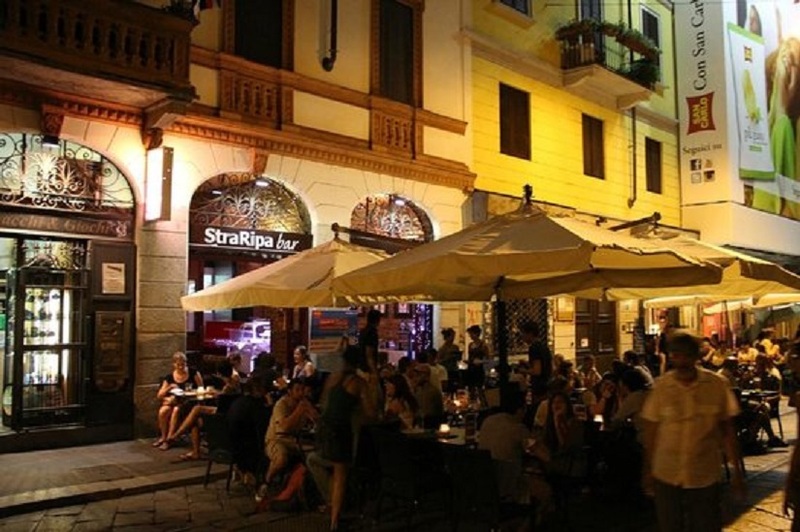 With a famous staff and a super glamourous restaurant they hope that many people come here and fall in love with the concept and the food and "yes be curious about the original 1830 Sienna Restaurant and take a trip to Sienna. And in addition if they come from the south and love the Sienna restaurant I hope my brother who runs Sienna Tre Cristi sends his guests here. 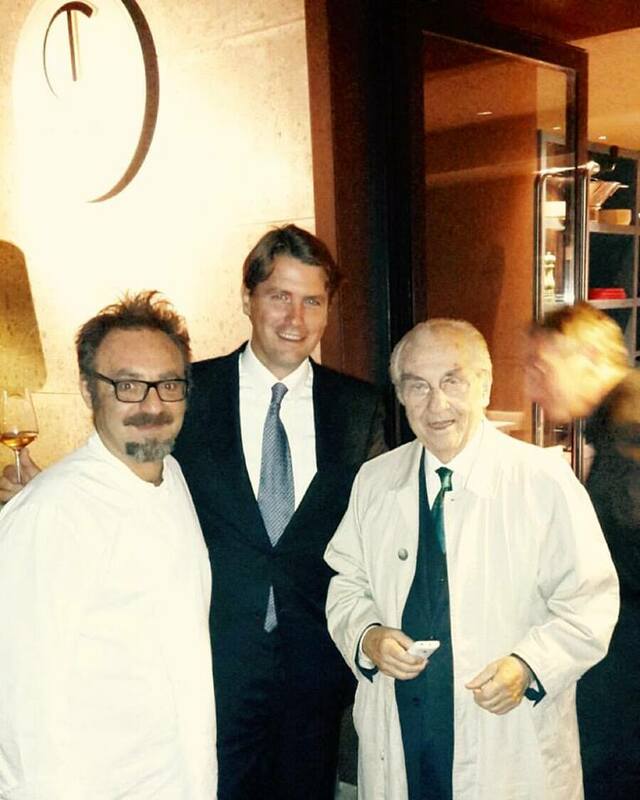 He is most mad that my restaurant is more sophisticated and highest quality of chefs in Italy!" Laughs Riccardo.